The ONLY hair colour analysis training course on the planet – a unique opportunity to learn how to apply colour analysis to hair. 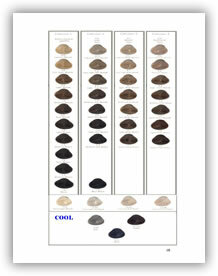 With so many clients colouring their hair these days, hair colour analysis is a challenge for many image consultants. It’s not easy to advise clients on the correct colour for their hair when you perhaps don’t truly understand the world of the professional hair colourist and that’s exactly what you’ll learn with this fabulous online course. Get immediate, lifetime access to almost 6 hours of video plus a plethora of training materials created by hair experts. This course is not going to teach you how to become a hair colourist (thank goodness! ), but you do need to understand the language and skills of the professional hair colourist, and how to communicate with them. After all, you both have a mutual client who could benefit enormously if the two worlds of the image consultant and hair colourist could actually talk to each other! Take the stress out of those awkward hair colour questions and learn how to diagnose your client’s hair colour direction to complement her colour analysis for clothes, make-up, accessories, etc. You’ll understand how to give your clients truly expert advice on their hair colour with easy-to-apply solutions for their hair colour issues. I am going to share with you insider secrets from the hair industry, learned from my own work with top hair colour experts and professionals and from training the Master Colour Expert Trainers at Wella UK. This course will assume that you already understand the fundamentals of colour analysis so if you haven’t already studied colour analysis, then I recommend the Fabulous Colour Analysis Course first. Take the stress out of those awkward hair colour questions and learn how to diagnose your client’s hair colour direction to complement her colour analysis for clothes and make-up. You’ll understand how to give your clients truly expert advice on their hair colour with easy-to-apply solutions for their hair colour issues. I share with you insider secrets from the hair industry, from my work with top hair colour experts and professionals and from training the trainers at Wella UK. Scott Cornwall’s amazingly incredible book ‘Introduction to Hair for Image, Colour Consultants & Stylists’ is now included as part of this course. You cannot get this anywhere else in the whole wide world and it’s worth its weight in gold. Scott is probably the world’s only Hair Image Expert and what he doesn’t know about how hair and image go together isn’t worth knowing. Simply being able to run his Mini Hair Consultation for you, friends, family, and clients is worth the investment alone. 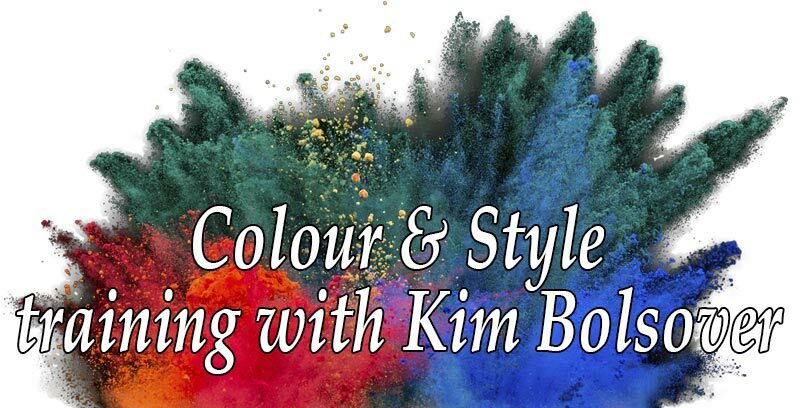 The entire course is designed to give you brilliant, expert advice on hair colour for you, your friends, and your clients. After all, if your hair isn’t right, then everything you’ve planned to do with colours for clothes, make-up, and accessories will fall flat on its face! The course is written and presented for both beginners and experienced image consultants and looks in detail at hair colour analysis. It’s all about colour, and nothing but colour. There’s no business or marketing included, so in the Fabulous Hair Colour Analysis course you are going to learn lots and lots about wonderful, glorious, fabulous hair colour. Let’s get started! Hair colour charts explained, print-ready hair colour charts, how to conduct a mini hair colour consultation, how to access expert hair colour services, Munsell’s colour characteristics explained, recommended books about hair colour, a real-life example of changing hair colour to reflect the client’s colouring and personality, and more! As a former hairdresser, I would heartily recommend the ebook ‘An Introduction to Hair in relation to image’ to you all, it’s packed with knowledge and sound advice. I just wish all hairdressers were made to read it and do Kim’s Fabulous Hair Colour Analysis Course, it’d do them a world of good. 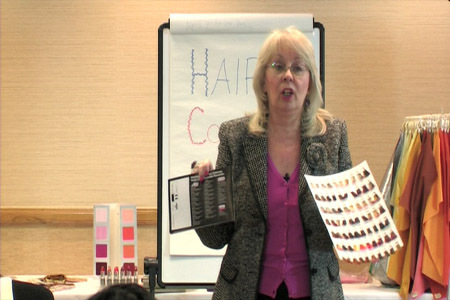 …it [hair colour analysis course] was brilliant and just what I needed. I have been introducing a new stylist today to the world of colour analysis. I can highly recommend the course. 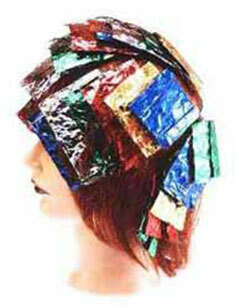 You will love Fabulous Hair Colour Analysis course. I just finished watching it and it’s amazing. So informative! You will find out exactly why your colour ends up too warm. My Mom is so excited. She’s a Winter and I realized she’s had her hair frosted the wrong shade of blonde for years.